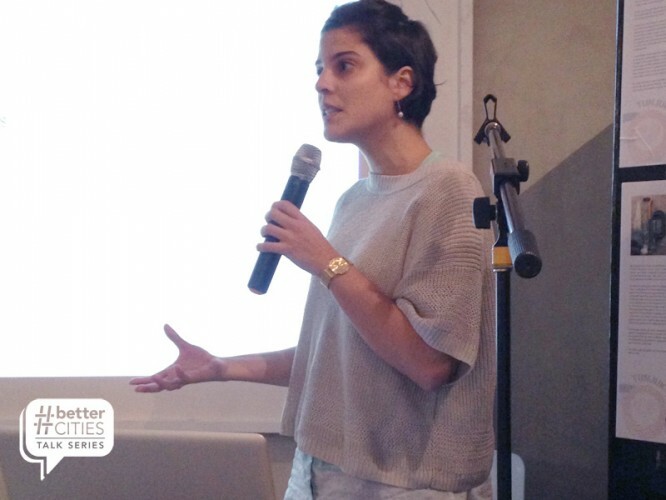 As part of their talk series #BetterCities held a postmortem of two of their projects: the first from their own Urban Residency participants and the second presentations from their partner project Junk=ed. 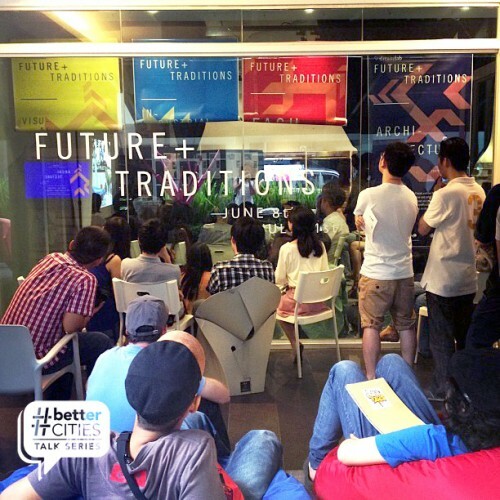 Urban Residency was a week-long urban action workshop organised by #BetterCities in George Town, Penang. 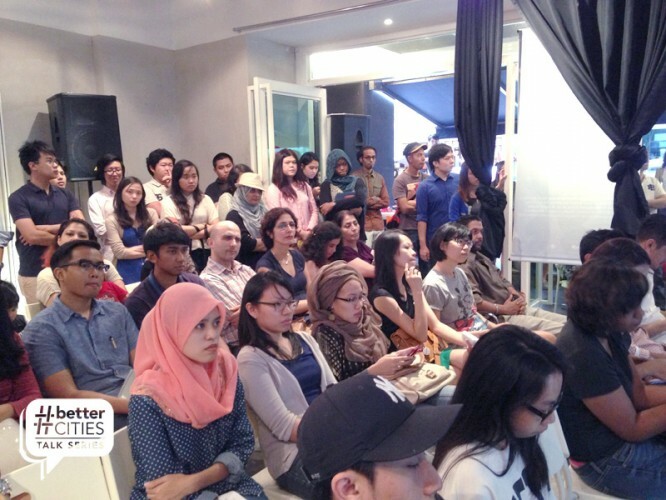 Urban Residency was done in partnership with The Embassy of Finland Malaysia, George Town World Heritage Incorporated (GTWHI), George Town Festival, Majlis Perbandaran Pulau Pinang (MPPP), Cheah Kongsi and ThinkCity Sdn Bhd. The workshop brought together nine young architects and designers and two mentors (of architectural background) to propose, design, and construct a courtyard for a community residing and using a back lane in Little India. The exact site is located at a back lane between Lebuh King and Queen. The second project, #BetterCities x Junk=ed was initiated by #BetterCities in a partnership with Junk=ed (for the April – July 2013 semester) as a part of #BetterCities’s #WhileWeWait bus stop series. 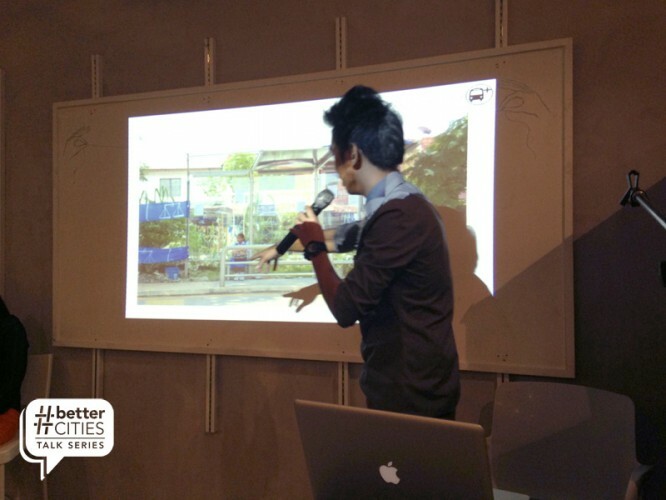 #BetterCities x Junk=ed was in partnership with Kyle Yon E and Shyn Cheah, both of whom are lecturers at the School of Architecture, Design and Building at Taylor’s University.#BetterCities was on board as external evaluators and provided micro grants for the students to execute their projects. Five groups were given five sites (bus stops) in Bandar Sunway/PJS5-6 area, and were tasked to transform these bus stops into better places using materials sourced from junkyards. Junk=ed is an elective course, headed by Kyle Yon E and Shyn Cheah, to transform five bus stops in Bandar Sunway into better places using materials sourced from junkyards. The elective explores the aesthetics of upcycling and usability of unconventional materials. In the first segment the participants of Urban Residency got intimate with audience revealing their challenges, personal work, and their overall experience in Georgetown. Viewing the project at a glance, gave insight to the real life sentiments that go behind the blend between: space, creativity, and nine designers. More than the physical labor, it was a revelation to find that the designers had more trouble tackling the actual design. As the saying goes, “too many cooks in the kitchen can spoil the broth” but they came together and made it work. Though at the end a fellow designer, Rebecca Nayagam, had this piece of advice for us: know when to speak up. As well as understanding how they got the space to work we also learned a little bit about each designer and they have not only a passion for architecture but also community. It was inspiring and a delight to see how the participants mixed design, creativity, and what one might call spacial activism together. Brian Chee’s multiple takes on how to think or rethink of a chair at bus stops was an inventive lesson on how to take initiative and think big. After the Urban Residency participants the students from Taylor’s came up to speak about their individual projects under Junk=ed. With what came to be known through a series of laughs their tight budget of RM200 was stretched in inventive and resourceful ways. With installations of musical pipes to a community board made of exquisite little tiles for locals to express themselves it seems as if Junk=ed as at least sparked these students to think about design and their degrees differently. More than just being the first time that these Taylor’s students have really had to consider a budget rather than just coming up with ideas on paper, it was also the first time they saw how the public interacted with their design. Their newfound know-how as well as what seemed boundless creativity leads us to think that we have future Urban Residency Participants underway. The talk was an insightful look on how we can rethink participation, space, and resources. When we start to put time and care into a space it becomes a topic of conversation, a thought to chew on, and our own. This #BetterCities talk series reveals design and creativity are at their best tools to connect us to each other and our community. Nadia Nadesan hails from Texas and is now based in Kuala Lumpur, Malaysia. 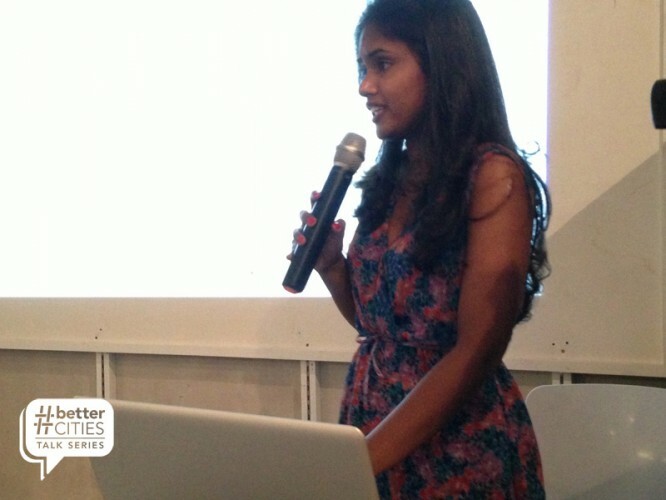 She currently volunteers at #BetterCities as a videographer, editor and writer.